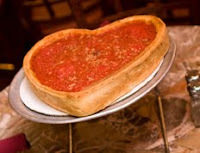 Making the perfect holiday and Valentine’s Day gift for someone special, Bella Bacinos (75 E. Wacker Dr., Chicago; 312-263-2350) accepts mail-orders for made-to-order stuffed half-baked pizzas, available for overnight shipping. Bella Bacinos mail-orders include an array of options. Order a small (10” serving two to three) stuffed half-baked pizza for $45.99 or medium (12” serving three to four) for $55.99. Pizzas can also be made heart-shaped for a popular Valentine’s Day gift. Add a bottle of red or white, pizza-friendly wine with a pizza order as a special package for a grand total of $85. All prices include overnight shipping via Periship, a new division of FedEx that offers express shipping for the perishipable foods industry, and arrive between 10 a.m. and 11 a.m. the next day. Not only has Bella Bacinos partnered up with Periship to deliver stuffed pizza to its destination fresh and fast, it is also the only operation in Chicago to ship pizza via Periship. Unlike other local competitors, Bella Bacinos prepares their one-of-a-kind pizzas with 100% real Wisconsin cheese, making them America’s first heart healthy pizza. The American Heart Association took note by placing Bella Bacinos’ spinach pizza, a 30 year favorite, in the Eat Well Guide. Preservatives and MSG will never be found in Bella Bacinos’ pizza. 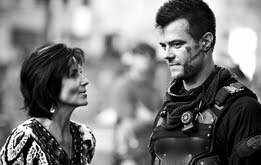 Celebrities such as Josh Duhamel, Jaclyn Smith and Chicago Bears punter Brad Maynard can attest to Bella Bacinos’ exceptional fare as they are frequent dine-in and mail-order customers. All orders are shipped from the Bella Bacinos Chicago location (75 E. Wacker Dr., Chicago; 312-263-2350), but may be picked up at any Bacino’s location. For more information or to view a menu, visit www.bacinos.com.